"The end draws near, my soul, the end draws near; Yet thou dost not care or make ready. The time grows short, rise up: the Judge is at the door, The days of our life pass swiftly, like a dream, like a flower." This Sunday sets before us the "eschatological" dimension of Lent: The Great Fast is a preparation for the Second Coming of the Savior, for the eternal Passover in the age to come. (This is a theme that will be taken up in the first three days of Great and Holy Week). Nor is the judgment merely in the future. Here and now, each day and each hour, in hardening our hearts towards others and in failing to respond to the opportunities we are given of helping them, we are already passing judgment on ourselves. (f) On the Saturday in the week before Lent ('Cheese Week'), there is a general commemoration of all the ascetic Saints of the Church, both men and women. As we set out on the journey of the Lenten fast, we are reminded that we do not travel alone but as members of a family, supported by the intercessions of many invisible helpers. (g) The Sunday before Lent. The last of the preparatory Sunday's has two themes: it commemorates Adam's expulsion from Paradise, and it is also the Sunday of forgiveness. There are obvious reasons why these two things should be brought to our attention as we stand on the threshold of the Great Fast. 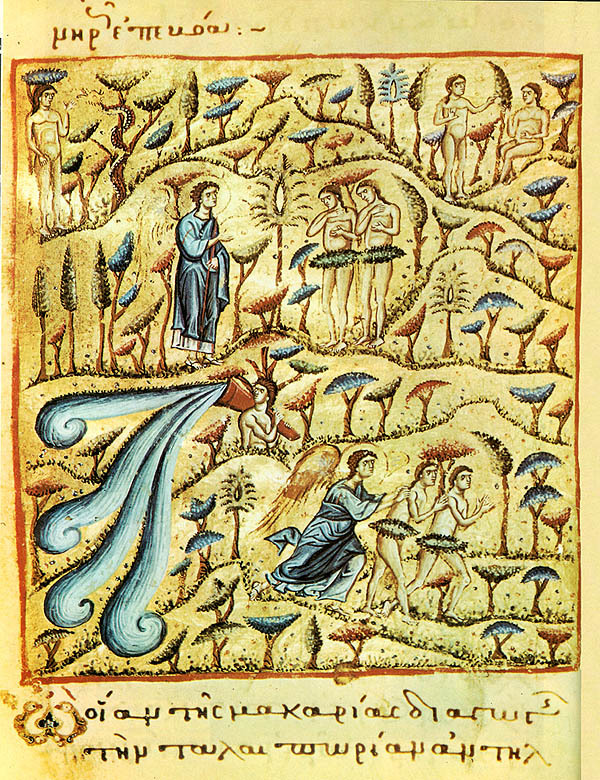 One of the primary images in the Triodion is that of the return to paradise. Lent is a time when we weep with Adam and Eve before the closed gate of Eden, repenting with them for the sins that have deprived us of our free communion with God. But Lent is also a time when we are preparing to celebrate the saving event of Christ's death and rising, which reopened Paradise to us once more (Luke 23:43). So sorrow for our exile in sin is tempered by the hope of our re-entry into Paradise.